Purchase online ATmega32U4 Micro-controller in India at low cost from DNA Technology. 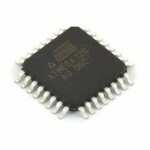 Atmega32U4 is the Micro-controller that is used in Arduino Leonardo and Arduino Pro. 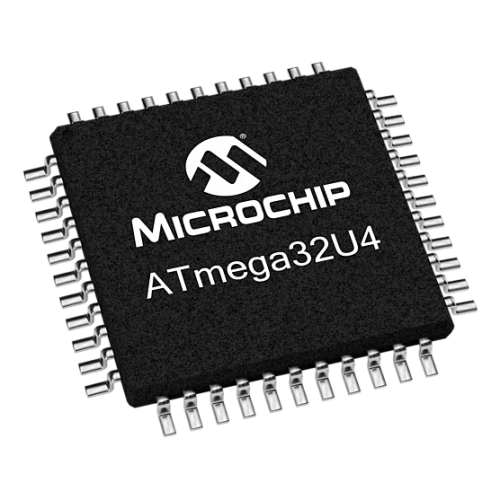 This low-power Microchip 8-bit AVR RISC-based micro-controller featuring 32KB self-programming flash program memory, 2.5KB SRAM, 1KB EEPROM, USB 2.0 full-speed/low speed device, 12-channel 10-bit A/D-converter, and JTAG interface for on-chip-debug. The device achieves up to 16 MIPS throughput at 16 MHz. 2.7 - 5.5 Volt operation.